Bidding starts ending at 6:00 p.m. on Wedneday, February 13th, 2019Accepted Terms and Conditions:All persons participating in the on-line bidding agree to and accept these terms and conditions unequivocally and without exception. All items are sold AS IS, WHERE IS with NO warranties implied or expressed. No allowance, refund or set aside will be made on account of any incorrectness, error in cataloging, imperfection, defect or damage. Any descriptions or representations are for identification purposes only and are not to be construed as a warranty of any type. It is the responsibility of the Buyer to have inspected thoroughly the items and come to a state of satisfaction as to its condition and value and to bid based solely upon that judgment. By participating in this auction you agree that Clark Auction Company, LLC, nor its employees or affiliates will be held responsible for any errors in descriptions or any failure to execute a bid on behalf of any participant(s) for any reason whatsoever. By submitting winning bid(s) on this auction, you acknowledge and accept without recourse that you have purchased the above items at public auction "as, where is" without warranty or guarantee of any kind. You will not stop payment, dispute or otherwise contest this transaction. Preview Date: Monday January 21st 10:00am-5:00pm and Tuesday, February 12th from 10:00 am- 5pm at 305 Morgan St, Meridian, TX 76665Payment Terms:ALL Invoices will be charged against the credit/debit card presented to register or you may call and make arrangements to pay at 8896 Hwy 6 Crawford, Texas. ***NOTICE: READ THIS IF YOUR ARE CLAIMING ANY SALES TAX EXEMPTION***!!! When Registereing, there is a Notes to Auctioneer field, NOTE your intent to claim tax exempt with your State Tax ID Number !!! (Regardless if you have bought from us before! We will not refund taxes for those NOT noted)CLARK AUCTION COMPANY, LLC IS REQUIRED BY LAW TO COLLECT THE FOLLOWING TAXES:Texas Sales Tax of 6.75% will be collected on all non-titled items unless the items are being purchased for qualified:"resale under a valid Texas Sales and Use Tax Permit;"non-profit exempt use.Applicable forms and ID must be presented to qualify for a non-taxed purchase. NOTATE any intention to claim tax exemption, along with proper ID Numbers, in "Notes to Auctioneer" when registering.Item Removal:ITEM REMOVAL DATES AND TIMES ARE FIRM! By placing a bid, you are agreeing to all terms and conditions. Item pick up is during the dates and times listed below:Thursday & Friday, February 14th and 15th and 25th 10am-5pm at 305 Morgan St, Meridian, TX 76665Please bring help to move, Tools for dismantling, Two Wheel Dollies, Four Wheel Dollies, etc.Items NOT picked up during the schedule times will be forfieted. NO REFUNDS.WE DO NOT DELIVER. BUYER MUST MAKE THEIR OWN DELIVERY ARRANGEMENT WITH THIRD PARTY COMPANIES.Disclaimer of Liability for Service Interruption: The bidder acknowledges and accepts that Clark Auction Company, LLC does not guarantee continuous, uninterrupted service or secure access to our website. Operation of our website may be interrupted, interfered with or adversely affected by numerous factors or circumstances outside of our control. Neither Clark Auction Company, LLC nor any of its sellers, agents, or any provider or third-party vendor will be liable for nor have any responsibility for any loss or damage incurred in the event of any failure or interruption of the website or internet bidding, or from any other cause regarding access to or inability to access the site or its materials, or to place bids whatever the perceived cause. 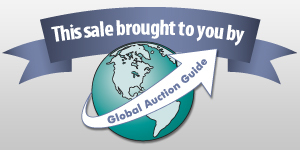 In the event of service interruption during the course of internet auctions, Clark Auction Company, LLC and its sellers reserve the right to terminate the interrupted auctions and declare all bids in those auctions null and void, to allow auctions to continue to run after an interruption, to relist and restart affected auctions at the original starting bid or the high bid at the time of the interruption, to restart all auctions containing any lots of merchandise affected by an interruption or to take any other action deemed necessary. The auctioneer's decision, with Seller's consent, shall be final without recourse or liability.Clark Auction Company Thanks your for your Business!